Designer Aluminium Front Doors Cornwall. 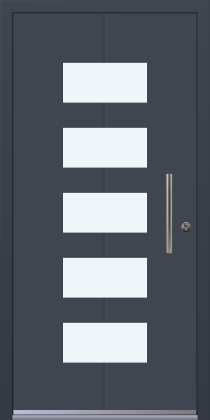 We supply and fit a wide range of aluminium doors to commercial and domestic customers. For when you want to go the extra step in quality or want the choice of thousands of RAL colours you can turn to aluminium to provide the solution. 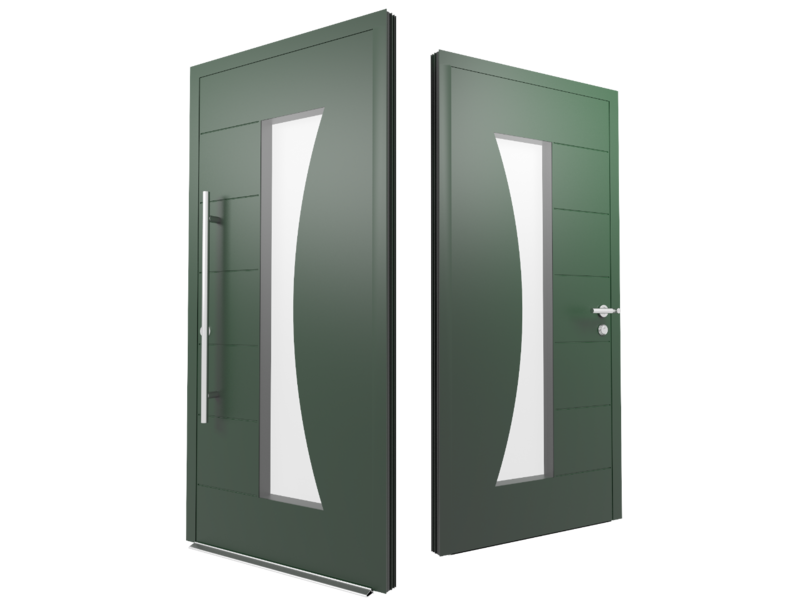 Aluminium doors provide strength, durability and resistance to corrosion. All of our aluminium doors have been thermally broken, greatly increasing their thermal resistance. This helps to combat heat loss and condensation whilst retaining their structural strength. With a 10 year guarantee on materials and workmanship you can always be confident that your investment is safe as well as your home being secure and warm. 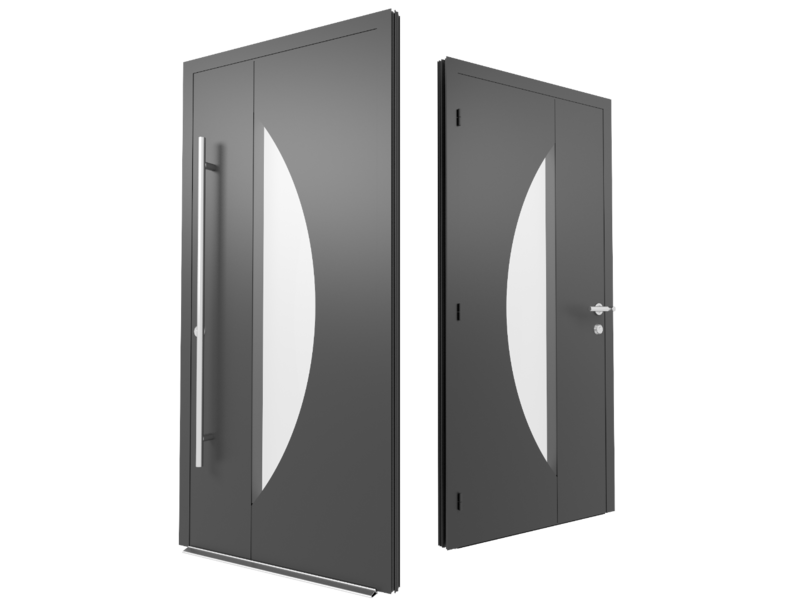 Characterised by a slim, elegant profile with a high quality powder-coated finish, aluminium doors are a great choice for contemporary buildings. They are also ideal for instances where it is important to maximise the the amount of natural light that enters the building. Don’t forget as with all our products, All Glass offer a professional aluminium door fitting and installation service. Leave your job to the professionals with over 25 years experience in installing doors to the highest quality. 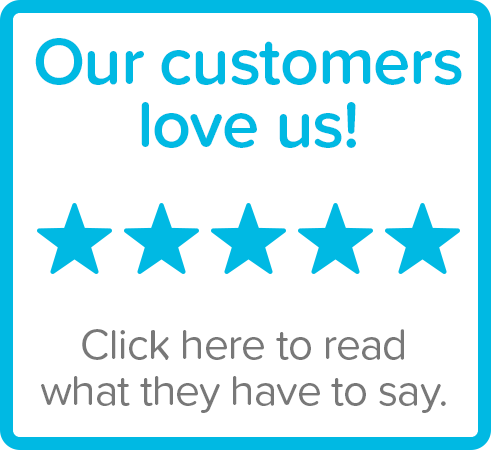 We offer a 10 year, insurance backed guarantee as standard, for your piece of mind. 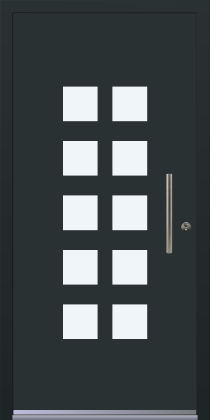 The Allstyle range of Entrance Doors has been expertly designed to deliver everything you need in terms of style, security, performance and quality. 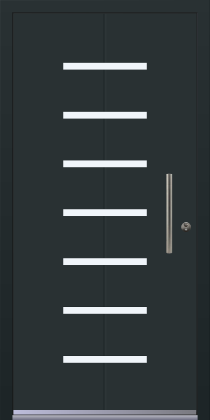 A range of innovative aluminium doors designed and made in the UK, Allstyle aluminium entrance doors are available in a wide range of designs and colours suitable for any house. Read on to learn more about the security and quality, and browse the range towards the bottom of this page. The choice of glazing will have a significant impact on the overall appearance of your door. We only use the highest quality fittings ensuring maximum protection. 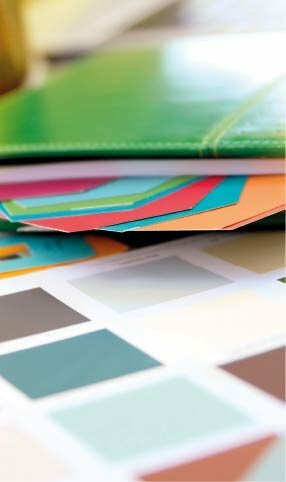 Our unrivalled range of colour options provides inspiration for all types of properties. 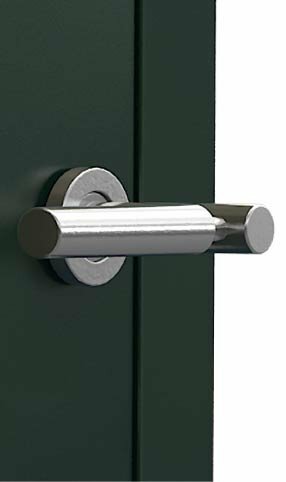 Our high-quality door furniture will provide that elegant finishing touch. 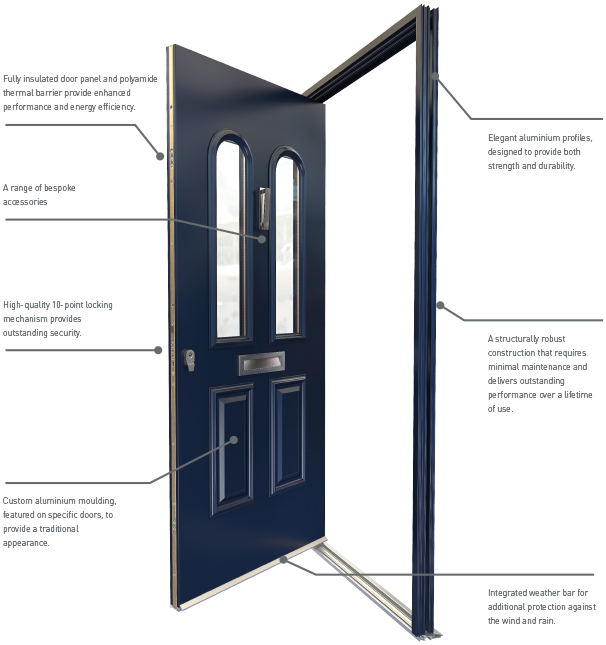 Every door is manufactured by our specialist Smart fabrication team, so whatever the weather, you can be certain that your door has been engineered to last. With huge adjustable hinges, resistant to 80kg of pressure. 66mm triple glazed and laminated glass units. All profiles include a polyamide thermal barrier that enhances thermal performance. Thermally efficient – with a ‘U’ value from 0.9 W/m2K to1.1W/m2K, dependant on the glass specified. Double-rebated EPDM centre gaskets provide maximum weather protection. From traditional Victorian, Georgian and Edwardian designs to contemporary chic. 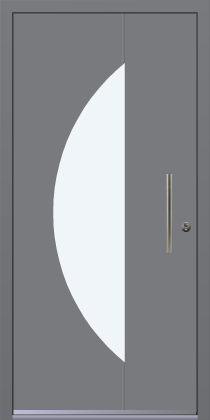 our Designer Doors offer a wide range of designs, colours and styles for you to choose from. 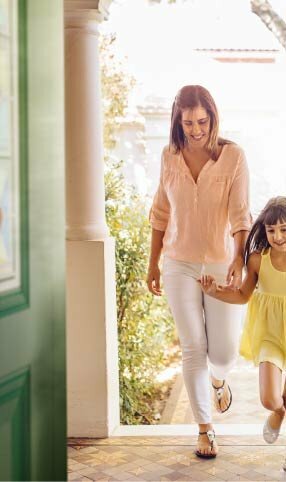 Whichever door suits your home, you can be sure of its outstanding performance, with high-quality locking mechanisms and precision construction combining to give unbeatable strength and security. 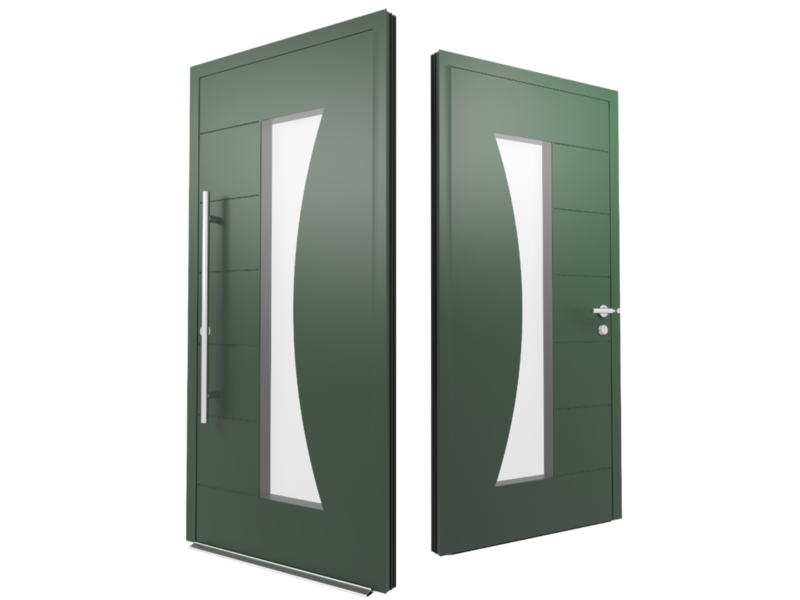 The choice of glazing and door furniture will have a major impact on the overall appearance of your door. 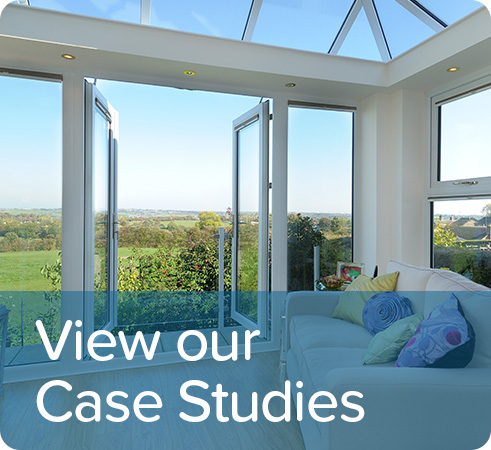 We have a wide choice of fixed side, or head-light glazing combinations, as well as single or double door configurations to make sure the design is just right for your home. Finally, our extensive range of colours Traditional Cottage Vintage Modern guarantees the perfect finishing touch. 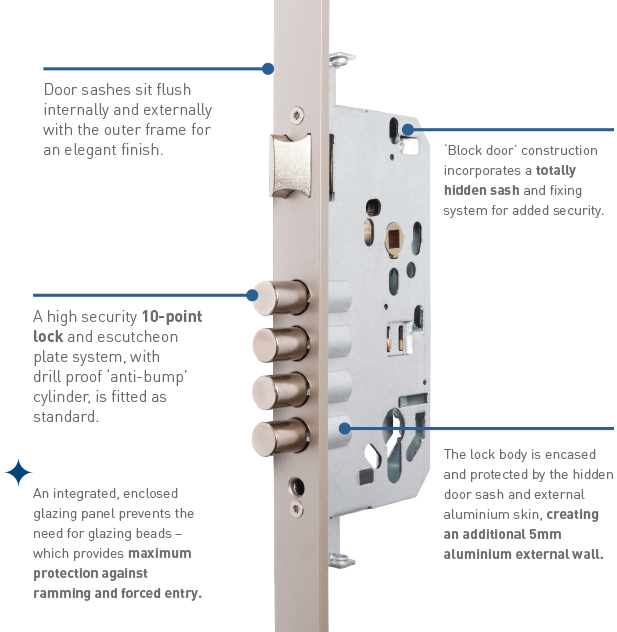 10-point locking for high security. 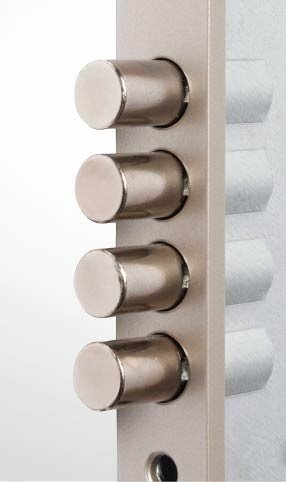 Our laser-cut key profile system prevents the use of any unauthorized keys. Horizontal key has a cross groove in the core which can only align with the 10-point spring loaded pin pairs within the lock. ISEO R7 cylinder, anti-bumping and placed 60mm away from the frame: high security and easy opening. Our extensive and varied range of colour and finish options provides inspiration for all types of properties. From contemporary urban homes to traditional Cotswold cottages, we have the perfect colour to suit every project in any location. 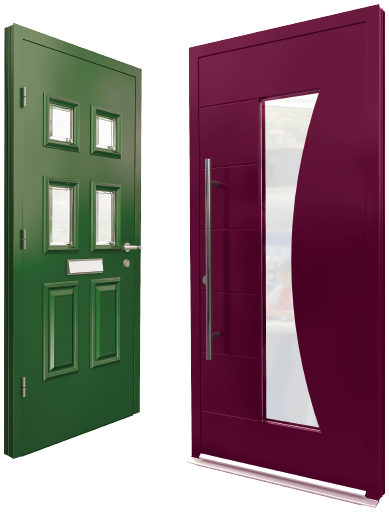 Our doors are available in the Sensations range of colours – an exclusive range of metallic finishes that combine with a unique tactile finish, bringing style and durability to any building project. Ideal for both modern architecture and restoration projects ‘sensations’ broad palette of colours and pleasing feel offer a unique finish to windows and doors. Also available is the new ‘Natural Textured Anthracite Grey’ colour. The ‘sensations’ colours feature high resistance to corrosion and a durable scratch resistant finish. With a huge range of colour options, you can choose the perfect shade for your house, whether you want to match an existing colour, or to make a real design statement with a striking contrast. This unwavering attention to detail extends to the quality of your door’s hardware and locking mechanism – and of course to the final lustrous finish, which is applied with meticulous care.